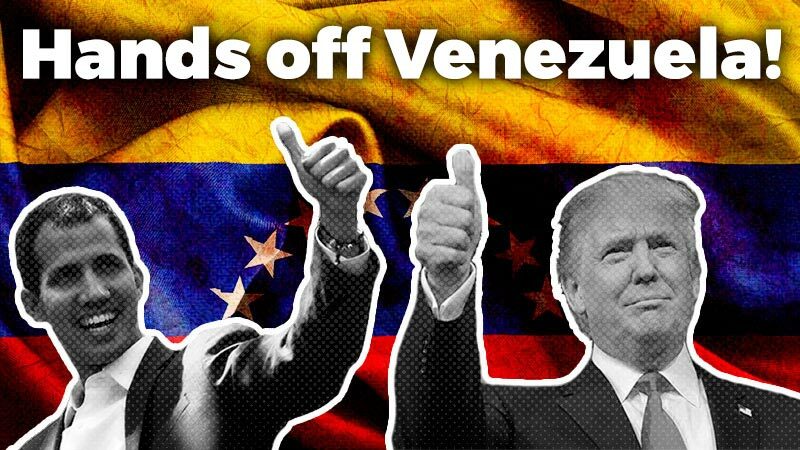 At the PTS National Congress that took place in July, discussions centered on the party’s overall progress, how the Left can increase influence within the working class, women, and youth, and the central role of La Izquierda Diario online media network. This article was originally published in Spanish in La Izquierda Diario Argentina. The XVth National Congress of the Partido de los Trabajadores Socialistas (Socialist Workers’ Party–PTS) took place in July in Buenos Aires, Argentina. During the three-day congress, discussions centered around the party’s overall progress and culminated in proposals on to increase the influence and organization of the Left within the working masses, women and youth. The La Izquierda Diario digital news network launched in September 2014 was signaled as a central part of this process. An evaluation of the progress and orientation of PTS activities was preceded by intense debates in plenary sessions and meetings, based on four internal documents on these topics (ie., balance and orientation of the party). The following are the main conclusions of these discussions based on a report written by the same author, as well as the interventions of numerous delegates. 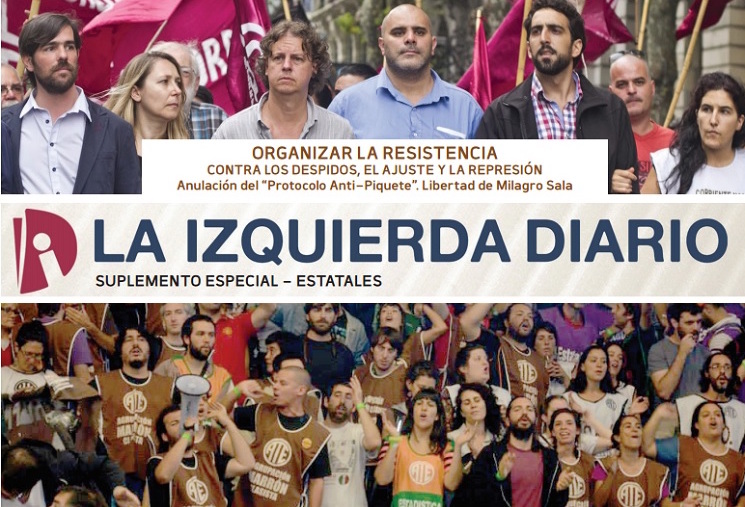 The XVth Congress decided to make a crucial change: The decided objective is to convert both digital and print versions of La Izquierda Diario (LID) into a collective organizer of workers, women and youth. In particular, LID would become a collective tool for those who are building the resistance against the Macri national government and the provincial governments steered by the Peronist Frente para Victoria (Victory Front–FpV) and Cambiemos. At the same time, LID would strengthen the Left & Workers’ Front (Frente de Izquierda y los Trabajadores–FIT) on its path towards building a mass party that the working class needs. The PTS launched LID two years ago as a departure from the Left’s routine of reporting on union activity, electoral campaigns–the rare moments we were able to reach millions–and propaganda for a handful of people by means of print and website. 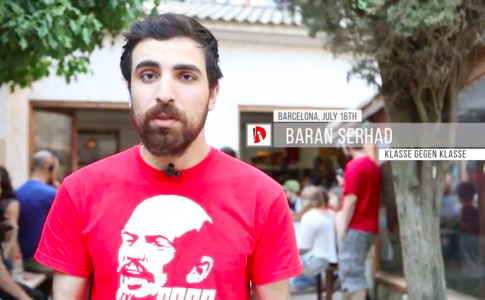 Based on these initial but isolated successes, we decided to expand our political influence via digital news, to create a political current that would share our ideas from a socialist and internationalist class perspective. Over time, LID became an international network with the collaboration of sections in 11 countries, publishing in six languages, contributing to the internationalism of our own party. The results are clear: our audience soared to an average of 40,000 visits per day (1.2 million per month), a 1,000% increase from before the launch. A total of 38,000 users visit the site more than ten times per month and visit at least three pages. Now, with “minute-to-minute” updates, for many, LID has become a medium of direct information, not solely a source of “opinions” (an area in which our editorials and interviews with prominent Argentinean political journalists stand out). Likewise, the TV show La Izquierda Diario TV, which airs every Wednesday online, demonstrates our determination to utilize all forms of media for the advancement of left ideas. Accordingly, we have demanded that the program be granted airtime on TV Pública (public television). An important factor underlying this ambitious step was the FIT’s success in the primary elections in October, with the rising prominence of presidential candidate Nicolás del Caño, vice-presidential candidate Myriam Bregman, National Assemblymember Christian Castillo and our provincial representatives. 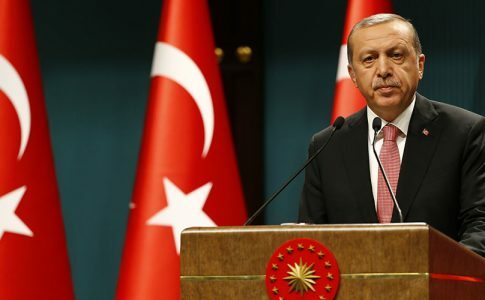 However, we emphasized at the Congress that we have created a mass media outlet which is embraced by increasingly more workers, women and youth who pen their criticisms and opinions, and share the articles with friends and family, and their colleagues at work and school. The orientation we have decided upon is to multiply and systematize these initiatives. We want thousands of comrades to write for the newspaper, making it their newspaper–belonging to the Left, workers, women and youth. They should become the true protagonists of the newspaper. Today we set out with more than 7,000 comrades including PTS militants, groups organized by the party, as well as networks of party supporters, but the ultimate goal is to create a network involving several thousand more people with a political influence reaching hundreds of thousands. To this end, the Congress determined to commit to the publication of 2,000 articles from contributors and correspondents per month, on top of the over 1,000 articles per month already penned by the editorial team, which has recently been reorganized in shifts so as to produce background notes as well as minute-to-minute updates. Why do we speak of “Leninism”? In our view, the experience of organizing the working class and its own party was best exemplified by the process led by Lenin, which culminated in the Russian Revolution in 1917. As such, “Leninism” means building a party for combat that is rooted in the working class and centralized in a democratic manner, in order to confront the capitalists, union bureaucracy, and political bureaucracy with a revolutionary program, leading to the establishment of a workers’ government and socialism. That is our strategy. It has been the result of many debates and battles that are very present. For example, we pointed out the need to act from within the working class–its struggles and life–and that we can not be content with speaking from the outside, as some parties within the FIT have argued under a (mis)interpretation of Lenin’s What is To Be Done?. Another battle which became very visible during the Lear struggle in 2014 was centered on whether we must build a party of combat fully involved in class struggle, or instead obey the limits imposed upon us by “legality” despite the fact that employers and bureaucracy never hesitate from resorting to the terror of dismissal, street gangs and lawlessness. But “Leninism” also means flexibility and creativity in ways of seeking the fusion of the revolutionary Left and the labor movement. For example, closing ranks during setbacks in order to preserve the organization, and becoming broad and audacious during times of ascent. Here we consider the example of Pravda (The Truth), a legal newspaper published in 1912-14 in Czarist Russia that invited all workers to contribute their writings. Workers’ groups collected money to finance the newspaper. It was a period of ascent for the workers, but the newspaper was censored many times, prompting Pravda to publish clandestine editions. Lenin pointed out the money-collection efforts and over 40 articles published in its pages to argue that Pravda was a newspaper of the working class, establishing itself as a political subject. The Bolshevik Party opened its doors and viewed everyone working with Pravda as a party supporter. Although the situation is very different today, we want to reclaim Lenin’s method. What conditions exist as we embark upon such a challenge? In our country, the working class does not have its independent political expression, because the major unions are very corporatist. They didn’t move a finger when the president vetoed the law against layoffs, and will do nothing against the price hikes. The balance of power is not clear-cut: many workers fear being dismissed, but discontent is building, and illusions of reformism that once bolstered Kirchnerism are coming to an end, generating conditions conducive to more workers’ and popular rebellions. The disillusioning experience of thousands of workers, women and youth with this progressive version of Peronism makes it possible for some of these sectors to make a left turn. We want to intervene in such a scenario with courage. 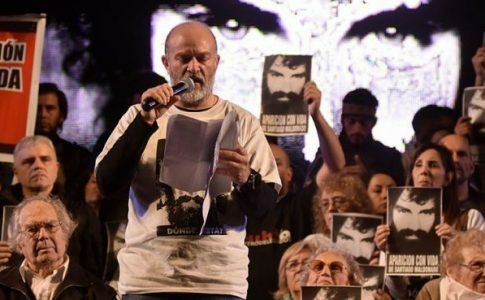 Among the youth, despite the crisis following the Lopez incident -the culmination of a long list of unpopular characters (Daniel Scioli, Anibal Fernandez, etc. 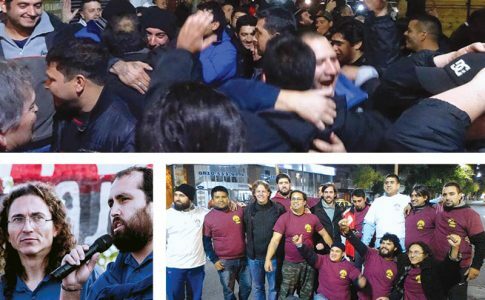 ), the bureaucratism of Kirchnerist youth organizations (La Cámpora, Nuevo Encuentro, Evita, Kolina) still have influence. They impose their party line without any possibility of debate, not to mention harbor cases of sexism and homophobia. At the XVth Congress, comrades who were once part of the Kirchnerist movement and are now PTS militants took the floor. They are youth, workers, and women who have made a political and ideological break with Kirchnerism; not only a rupture due to the most conspicuous reasons, but a deeper rupture with the illusion that a bourgeois government may change workers’ conditions of exploitation, the misery of the masses, and the oppression of women and youth. They are now socialists with a class perspective. The interventions of many delegates led to the important conclusion that we should call upon all the sympathizers of the Left Front to join in the La Izquierda Diario project in order to intervene together in the crisis experienced by thousands of Kirchnerist activists and supporters; to invite them to fight together against the price hikes and other attacks on workers and the people; to demand union confederations to organize a nationwide strike and draw up a plan for struggle; and to show solidarity with all struggles (workers, women, students). LID serves as a platform for the debate on how to put an end to the country’s subjugation to the imperialist powers and Argentinean grand bourgeoisie, which can only be achieved with an anti-capitalist program and a workers’ government in the transition to socialism. What does it mean “to make the newspaper one’s own”? During the conflicts at universities, we published thousands of entries with special features and extensive coverage. But what we want in similar conflicts in the future is for thousands of students across the country to write on their experiences and opinions and make the daily their own; expressing themselves and spreading the word to come together. That’s what our comrades in France are doing. The Révolution Permanente site published by CCR (Revolutionary Communist Current within the NPA) has become the voice of the huge strikes and demonstrations against the labor reform bill, even as the “official” media minimized their coverage. We want everyone to write, to become the protagonists. Our goal is not only to narrate the struggles and publish the criticisms sent to us. We want “the organic intellectuals of the working class” to emerge. Gramsci argued that everyone could be an intellectual, choosing between putting their knowledge at the service of capitalist exploitation and reproduction of the system, or instead towards the development of the working class into the subject of the revolutionary transformation of society. We want “tribunes of the people” to arise. Lenin argued that militants should express and direct not only the immediate “economic” demands, but uphold all the demands of the most oppressed sectors of society -not just to win over those sectors as allies in the struggle against capital, but to broaden the workers’ awareness against corporatism (competition between the exploited). 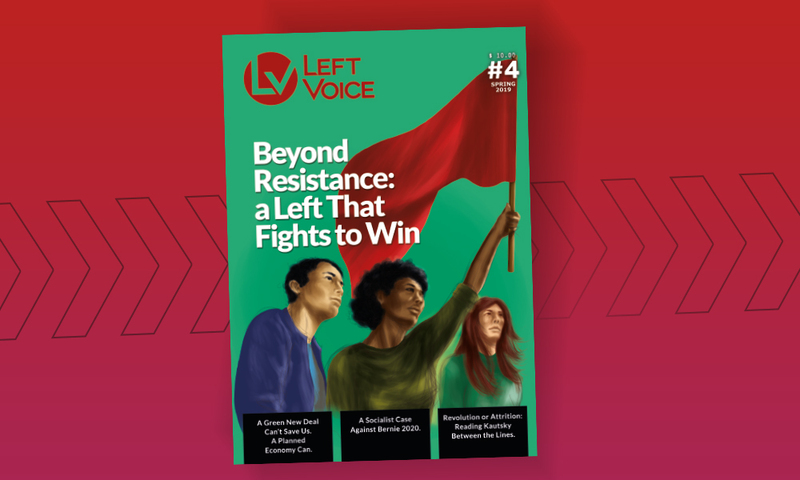 We want conscious defenders of the foundational program of Left Front to appear–those who ask how their articles can contribute to the advancement of working-class consciousness. If we ensure that, in addition to the already-active militants, several thousand more comrades write for and distribute the newspaper through such a perspective, they will be part of militant activity before even being formal party members. LID militants will thus transform into party militants, to the extent that they develop a conscious activity to drive home the idea that a mass party of the working class is a must. This entire process requires PTS cadre and militants to play a crucial role. Without them it will be impossible to achieve our goals. But as seen during the preparatory process and the Congress itself, PTS militants have embraced these new challenges with enthusiasm, a strategic understanding, and full awareness of the effort and seriousness required. We want the revolutionary Left to gain more political clout–not the same as electoral influence, which depends on many other circumstances. Every day, we can observe the growing appreciation for the quality of the newspaper among the most politicized sectors (militants, labor activists, intellectuals, journalists, voters of the Left). We want to increase the influence of LID, PTS and FIT in the national political scene. But we also know that it is necessary to gain influence in every workplace or school, where there are concrete struggles against the bosses, bureaucrats and authorities (struggles among the classes, policies and tendencies). To this end, we promote the organization of groups among comrades who sympathize with the FIT but are not party militants yet. In these struggles, such groups constitute the foundation for a solid militancy, rather than electoral clusters. La Izquierda Diario is a powerful weapon, but it must be integrated with these groups that are fighting to increase the concrete influence of the Left. Therefore, the Congress decided to form a National Bureau for the coordination of the party’s labor organizing efforts in order to keep a close watch on the development of working-class struggles and these groups. This work begins within the sectors in which we are already in formation: food, print shop, soap, subway, tire, telephone, aeronautic, public sector, teachers, potters, railway, health, soda water unions, the SMATA, UOM, UTA, textile oil workers’ unions, and others. In these groups, we enter into agreements with independent comrades who may not share a class perspective, but are anti-bureaucratic and combative, which is characteristic of the revived “grassroots unionism” in many workplaces. We also have agreements with other political currents that are independent of the traditional bureaucracies. Together we call for a National Meeting of Combative Unionism, or present independent slates in union elections–although we have many differences and in some cases these currents constitute “left-wing bureaucracies.” But specific agreements allow us to enhance the experience and organization of activists. We pursue similar policies in the student movement and the women’s movement. The struggle for the rights of women and LGBT people, which we develop through Pan y Rosas (Bread and Roses women’s organization), is of fundamental, strategic and tactical importance. Its strategic importance became apparent in the fierce debate with other groups composing the FIT, against those who belittle the importance of the fight against sexism by narrowing the definition of gender oppression to its most abhorrent forms under capitalism (ie., trafficking). The PTS has taken up an uncompromising struggle against sexism, homophobia, and transphobia in all areas, particularly within the labor movement. At the same time, we challenge reformist feminism in political and ideological terms, and place strategic importance in the advancement of the organization of working, exploited and oppressed women. With this strength and conviction, at the XVth Congress, we decided to increase our efforts to organize among women (see Resolutions). As for the student movement, the groups created by the PTS Youth who embrace the advancement of LID as a central challenge, defend public education, the unity between workers and students, self-organization, and organizations of militant students (vs organizations for pure “service”), from a clear anti-capitalist perspective. At the Congress, we were surprised by high school student delegates, who took the floor numerous times to demand more “say”, as well as the dynamism of university students. Our university student delegates explained the development of a university struggle with very strong tendencies, where PTS Youth cadres play a prominent role, establishing new locales in the Buenos Aires region or the provinces. As such, it was decided to establish a National University Bureau to centralize and strengthen this crucial sector of the party on a nationwide scale. The PTS has inaugurated nearly 100 workers’ locales and clubs across the country and plans to continue in other cities and municipalities. The function of these locales is not to promote a “neighborhood” militancy, where the strategic importance of organizing workers and students is lost to electioneering. To this end, the XVth Congress decided that the LID project and the growth of groups are inseparable from the advancement of the rich experience of militancy in these locales. At barbecues, parties, talks and meetings, comrades from different factories and unions, students and Pan y Rosas activists get together and exchange experiences, influence each other politically, and discuss problems and opportunities. In this regard, the Congress has decided to give more prominent roles to worker-organizers (different from the “party cadre”), i.e., workers and comrades who like to help organize other workers, are attentive, and take into account their problems and sensibilities. The same goes for the students’ and women’s movements. The last point of discussion was the importance of ideological struggle by means of instruments such as special articles in LID, the Ideas de Izquierda monthly magazine (one of a kind on the Left), books and brochures published by IPS / CEIP, the audiovisual programs of TvPTS, and courses on Marxism. The training of new militants requires current militants to make systematic efforts to grasp the theoretical instruments of revolutionary Marxism in order to wage a stronger struggle for the program and strategy to defeat the capitalist class. Fredy Lizarrague is a national leader of the Partido de los Trabajadores Socialistas (PTS). Two Months Asking Where Is Santiago Maldonado?